My MOTD (Makeup of The Day) is a very pretty Pink and Glitter look. 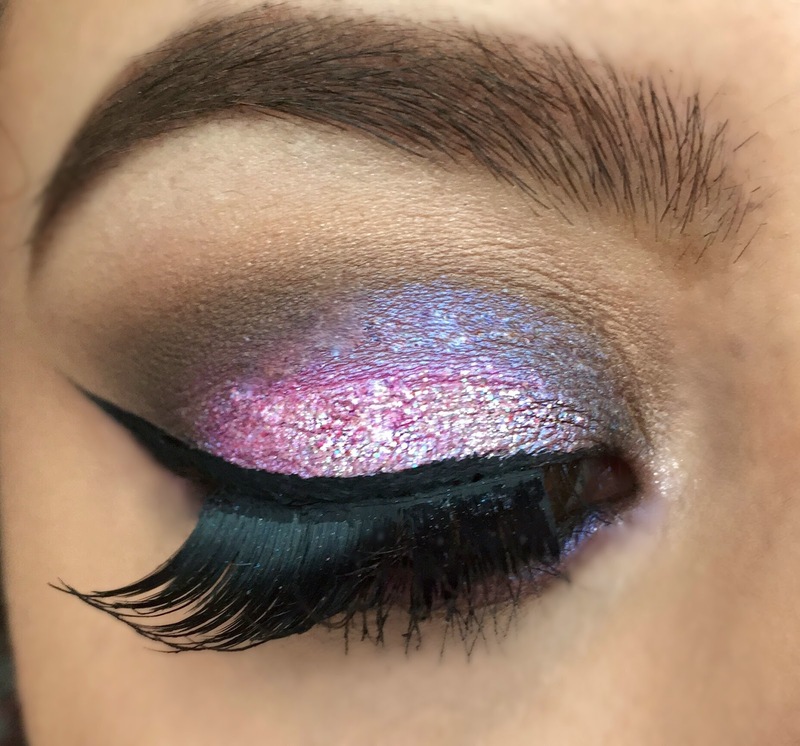 I'm not wearing this out, but I am trying out some fun New Year's and Holiday looks! What do you guys think of the look? Apply Mac ProLongWear Concealer as a base all over the lid. After that, use the color Chocolate Milk as a transition shade. Then take Woolen Mittens, and Dark Chocolate to darken the outer corner of the eye. I'm also applying Dark Chocolate to the inner corner to create a "sandwich effect". For the sparkly pink tone apply the pink dust from the La Femme Stacks. To intensify the shade moisten your brush with MAC Fix Plus and reapply the same dust. 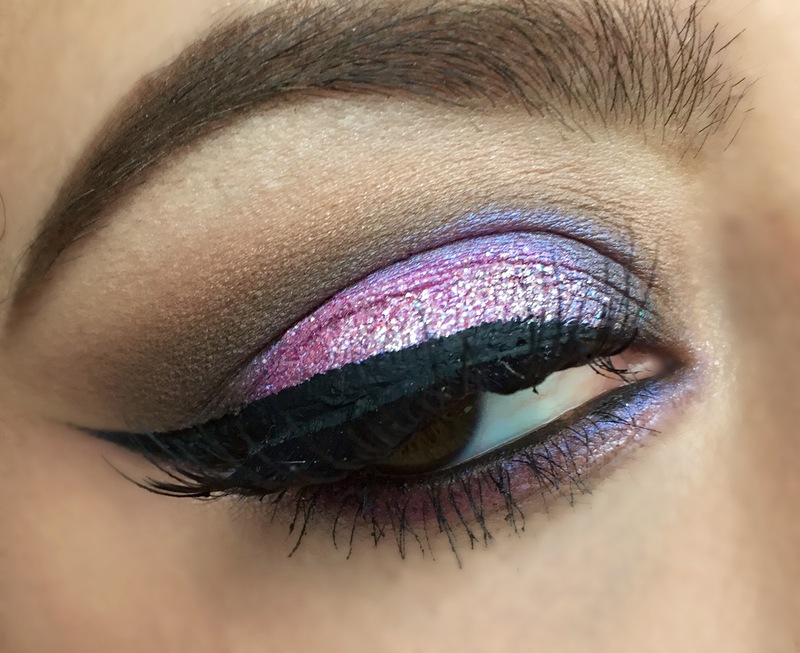 Add a little bit of eye glitter on top of the pink shadow. I am using the glitter that came in the same stack by La Femme. Diffuse Chocolate Milk on the lower lash line. Then, apply the pink Dust from the La Femme Eyeshadow Stack over Chocolate Milk. Do this a bit higher then Chocolate Milk so that you can still see both colors. On the picture it looks a bit purple towards the inner corner, but it's just lighting! I'm using Tarte's Amazonian Clay Black Gel Liner to create a wing and then darkening the color with NYC Black Liquid Liner. To finish the look I added my Mesmerizing falsies by Ardelle, and then used Benefit's They're Real mascara for top and bottom lashes. 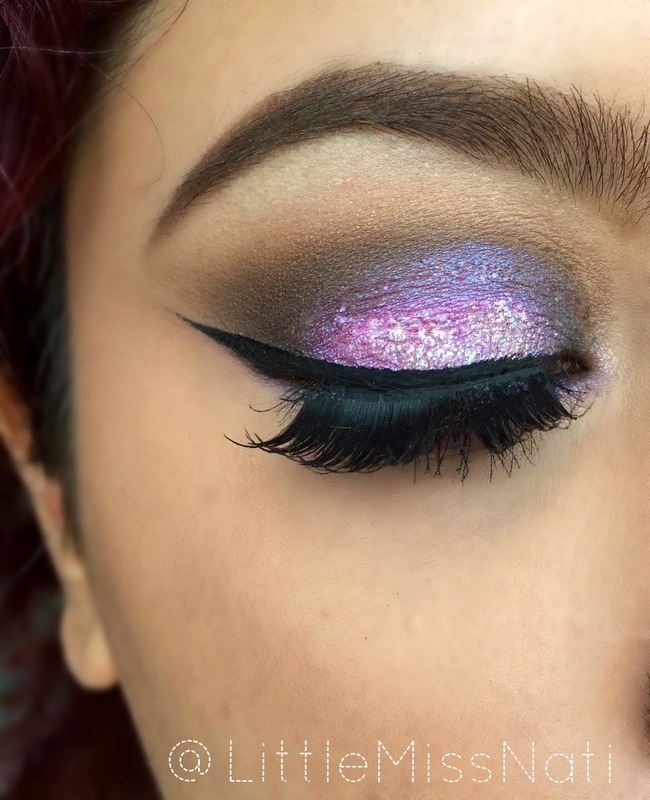 This is a silly question but how do you get such good photos of your makeup? Mine always look so stupid! Wow! 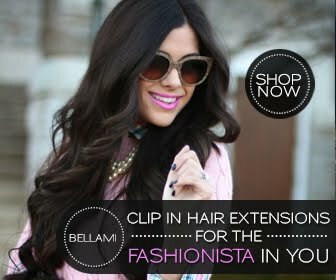 That is so beautiful :) it would probably take my like five hours to do and it still wouldn't look as amazing as yours.